Our professionals are dedicated to obtaining the highest quality patents. 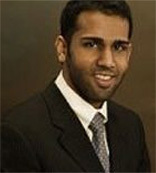 Sadiq Ansari is a co-founder of Ledell Ansari, LLP. Sadiq specializes in the preparation and prosecution of patent applications in a wide variety of technology areas, including semiconductors, wireless telecommunications, computer hardware and software, optical devices, Internet search engine software, audio/video teleconferencing software, medical devices, and graphical user interfaces. Sadiq’s patent experience includes work with companies of all sizes, including start-ups, small companies, and Fortune 100 corporations. 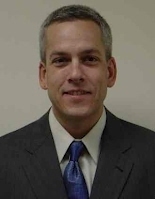 In addition to patent preparation and prosecution, his skills also include invention disclosure brainstorming, patent portfolio analysis, and freedom-to-operate/invalidity opinions. Prior to co-founding Ledell Ansari, LLP, Sadiq was an associate at the patent boutique law firms Harrity & Harrity, LLP and Adeli & Tollen, LLP. During his time at Pepperdine University School of Law, he served on the editorial board as a literary editor of the Journal for the National Association of Administrative Law Judges. 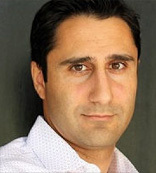 Prior to forming Ansari Katiraei LLP, Arman Katiraei was the founder of the Los Angeles Patent Group. He has developed the patent and trademark portfolios for several prominent Los Angeles area startups that have had $300+ million exits. Arman has obtained over 150 issued patents for his clients in networking, computer hardware and software optimization, robotics, computer interfaces, access control systems, integrated circuit design, circuit simulation, digital signal processing, wireless communication, cloud computing, virtualization, environmental conservation, identity verification and protection, technical applications of credibility, exercise equipment, safety apparel, water filtration, and musical instruments. Some of the patents he drafted and prosecuted to issuance can be found here Arman has provided counseling and advice in regards to different non-practicing entity demand letters and infringement notices with successful resolution in all cases ($0 payout). He has further provided litigation support including drafting and responding to cease-and-desist letters, negotiating trademark co-existence agreements, claim analysis, claim charts, and reexaminations. Arman brings an understanding of real world software engineering as a result of his three years of software engineering experience for a leading provider of device and network testing equipment. Arman’s projects included developing cross platform applications in various object-oriented programming and scripting languages such as C, C++, Java, TCL, Visual Basic, Lex & Yacc, Lisp, and Ruby. These projects are still in use by Cisco, Foundry, Nortel, and Juniper Networks to help advance the state of the art in network routing. Mr. Ansari and Mr. Katiraei have over 20 years of combined experience prosecuting patent applications and trademark applications before the USPTO. Unlike some law firms, our partners are not just points of contact and a bridge to a junior associate with further delegation to secretaries and staff. Delegating tasks in this manner increases costs, reduces responsiveness and responsibility to the client, lowers the quality of work, and produces an apathetic and disengaged approach to the client’s intellectual property. We prefer a hands-on approach and staying engaged at every step in the process. We understand the value of building relationships with our clients. We prefer periodically coming onsite to your location to understand your business from a holistic point of view and meet face-to-face. As demand dictates, we can dedicate one day a month, one day a week, or more to be on-site meeting with executives, managers, engineers, product teams, etc. We want to build a collaborative team with our clients rather than exist separate and detached from the business as just another voice on the telephone or another email address. Our attorneys are based in Alexandria, VA and Los Angeles, CA, but service clients nationally and internationally.